Enlist your audience to share your content so it gets in front of as many eyes as possible. A great way to do this is to start a viral loop that moves content from user to user. We all do it, it’s become pretty much second nature; clicking that little share arrow on the corner of a Facebook post, posting links to our walls or Twitter accounts, or even directly sharing an article online with a family member or friend. Whether it be the emotions evoked by that content or because you think the people you share, you are actively participating in the cycle of social sharing. When your goal is to get content in front of a large audience, this is exactly what you’re hoping for. Continuous sharing increases visibility, incites additional user interaction, triggers even more sharing, and gets content in front of a mass audience through a powerful viral loop. In this post, we’ll go over what a viral loop is, the elements needed to make it successful, and six powerful examples of content that hit the viral high note. 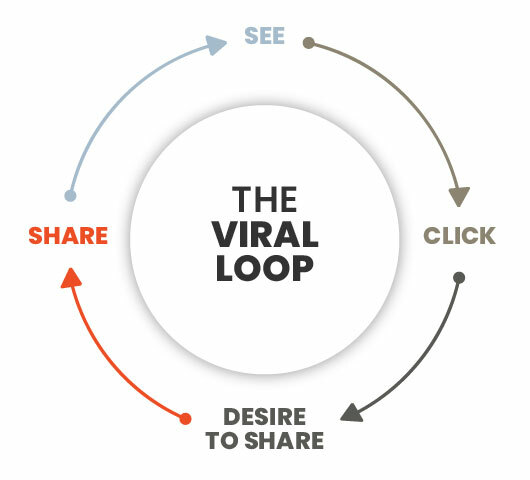 So, what exactly is the viral loop and how does it work? Well, when a user sees your content and shares it with others, those other people will likely do the same thing. Click. Share. Repeat. This moves content from user to user as the post’s audience grows and more and more people interact with and share it. It includes an interactive component that audiences use to create a result or a piece of unique content. It includes a call to action encouraging the user to share the unique piece of created content. A viral loop happens when a user interacts with a piece of content to produce personalized results. Once the user receives personalized results, the content invites the user to share the details by posting it on social platforms. After all, who doesn’t want to tell their Facebook friends which Kardashian they’re most similar to? This action then prompts others to engage with the content and create their own unique content – restarting the process and creating the viral loop. There are two types of content that best incite this type of social sharing and create viral loops. Quizzes are primed for creating viral loops, since taking a quiz creates unique results. Users are then driven to share their results, which triggers others to take the survey and share their outcome. 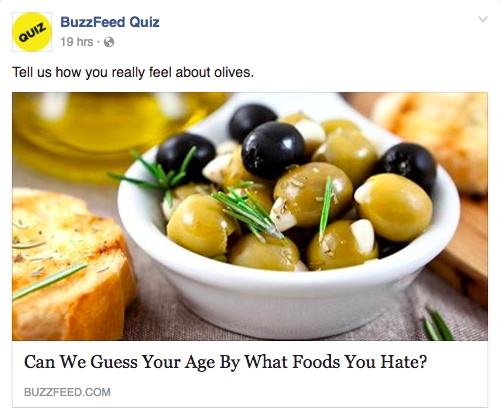 The BuzzFeed Quiz page on Facebook – which currently has over 1.2 million likes – infuses a bit of quirky into their quizzes. However, the “information” they reveal about a person is what encourages users to take and share them. 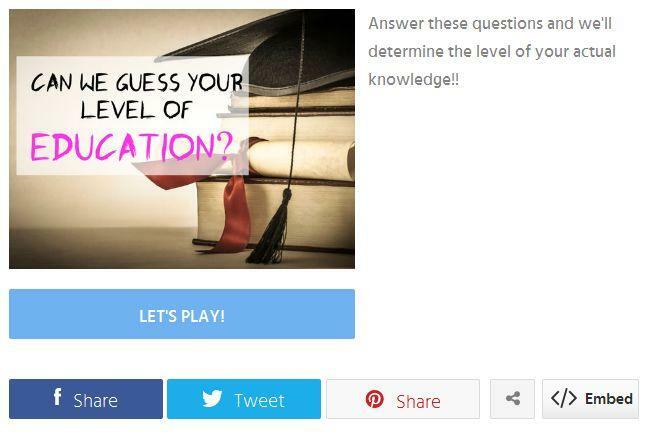 The quiz in the image above had over 670,000 views on its BuzzFeed page. Interactive apps are also ideal for creating viral loops because they can likewise produce unique, personalized results. Interactive apps are often connected directly to social networks, making it easy to share findings and encourage others to engage with content. We made the interactive app shown below that calculated the number of calories burned during sexual activity. It allows you to input your basic stats plus time spent in various, er, positions (e.g., missionary). The Sexercise interactive was shared over 35,000 times and appeared on nearly 80 sites like Huffington Post. Not only did this interactive contain some of the key elements of making content viral, it was personalized and fun, making people want to share their own results. Quizzes and interactive apps trigger viral loops, but not all of them can start this process. Beyond understanding the viral loop, it’s important to understand what the elements of quality content are and why people are inclined to share it. Next, we pinpoint strategies to improve your odds of creating a viral loop, and further below are six examples of content that master the viral loop perfectly. The following tips and examples will help you craft quizzes and interactive apps that are more likely to create a viral loop. Users love content that produces results related to their personality. 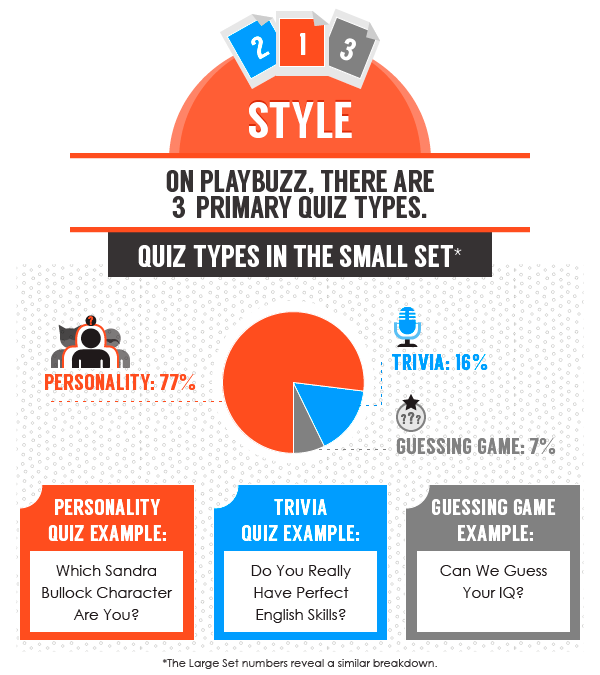 In our study with Playbuzz (which looked at the most popular quizzes on their website), we found that 77 percent of all Playbuzz quizzes that have been shared 100,000 times or more were personality quizzes. Our study also found that personality quizzes connected to character were the most popular. Users like content that tells them what type of personality traits they have. After that, users preferred quizzes that connected their personalities to fictional characters. Users like content that references pop culture. Our study found the words “character,” “movie,” “song,” and “famous” were frequently used in the titles of popular quizzes on Playbuzz. About one-third of the quizzes from our small set of data (which included quizzes that had more than 100,000 shares each) were pop-culture related. 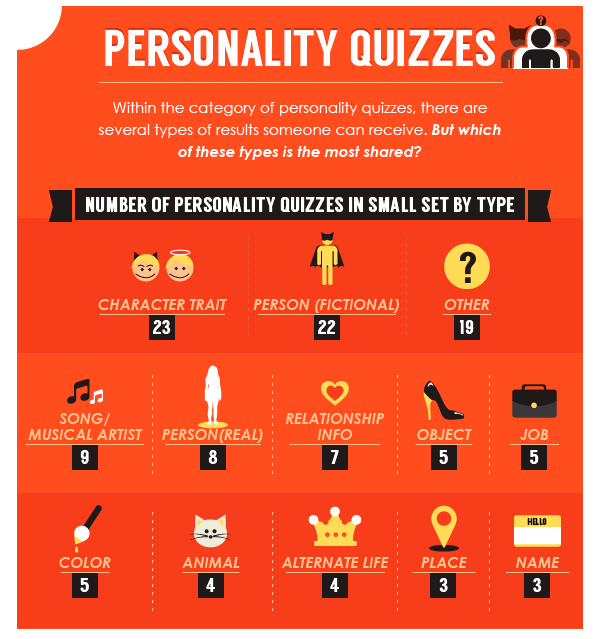 We also found that quizzes that connected personality traits to fictional characters were the second-most-popular type of personality quiz. 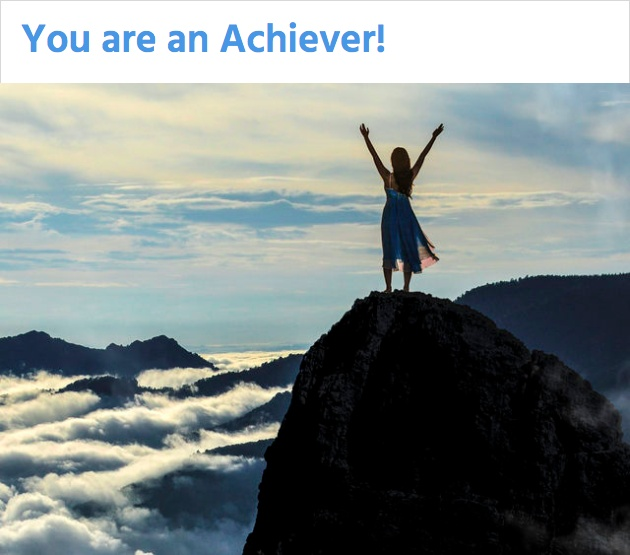 When it comes to personalized results, people like to see an outcome that directly connects to their self-interest. They prefer results that refer to them as a person – and it’s even better if those findings share something positive. People are more likely to share results that make them look good. Audiences like to be surprised and discover something they didn’t expect. Content that makes users curious about potential results provides excellent material for a quiz or app. This is especially true when audiences see their friends’ results and wonder if their results will be similar, different, better, or worse. Because users like interactive quizzes and apps that are closely tied to their personal interests, you must know your audience in order to create desirable content. 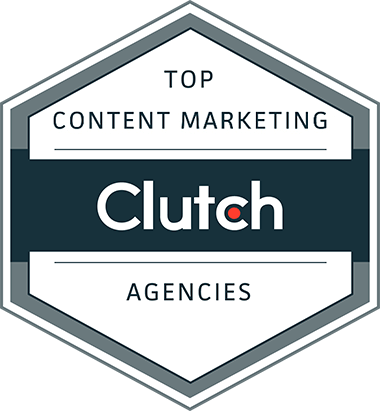 You must super-target your content to your audience’s interests in order to catch attention. 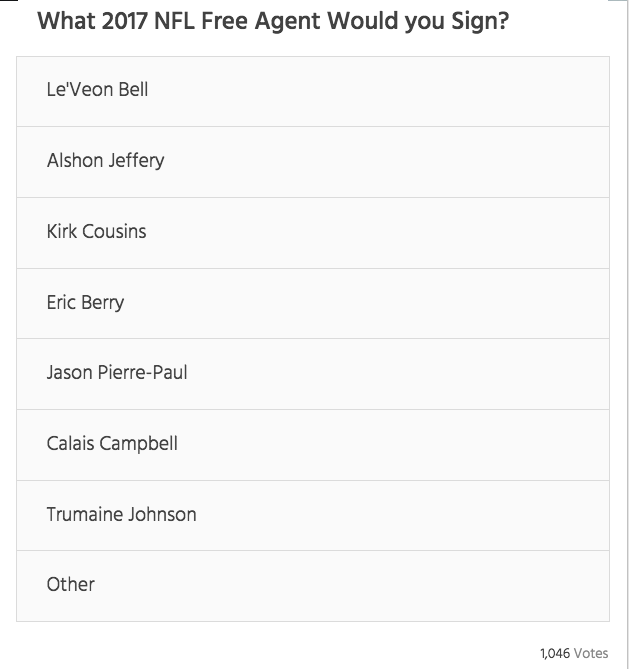 For example, this interactive poll tracks the top NFL free agents that users would select (if they were, you know, signing new players). This type of content speaks to football aficionados, so sports brands would be ideal for creating a quiz or interactive on this topic. Placing buttons on your content isn’t enough to incite social sharing. Content that sparks a viral loop needs to have clear calls to action that encourage users to share their results, send them to a friend, or comment on a page. Another way to prompt users to share is to pair engaging, share-worthy images with the main content and results. Results that incorporate interesting and eye-catching images encourage users to share and are also more likely to catch the attention of other social-media users. Aim to entertain, educate, or both. Audiences like content that reveals something new or helps pass the time, so entertaining or educational information is ideal. You can improve the odds that people will respond to your content by using these elements or combining them to get the best of both worlds. We made this Sexual Exposure Calculator to entertain readers with surprising results while also informing them of the risks associated with unprotected sexual relations. Make it easy to embed and share. The essential element of a viral loop is sharing. Without it, the loop won’t exist. All quizzes and interactive apps should have clear tools and buttons that make it easy for users to share on social networks. Even better, content that includes embed codes and allows the content to be shared on other websites will help the quiz and app spread even further around the web. Many elements can maximize the probability that a piece of content will start a viral loop. When used correctly, these tactics can create a fast-spreading viral story. Now, let’s take a closer look at six examples of quizzes and interactive apps that got the viral loop swirling. The following quizzes and interactive apps used the right elements to create viral loops that spread their content across the web. 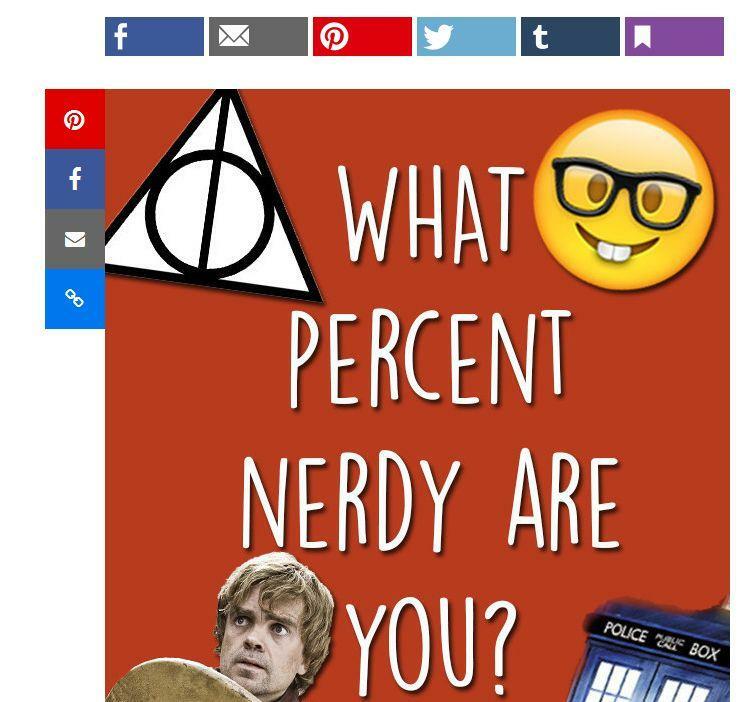 BuzzFeed’s quiz What Percent Nerdy Are You? got over 2.2 million views because it tapped into the main elements that create a viral loop. It referenced personality, included pop culture references, played up self-interest, and was the right fit for BuzzFeed’s audience. 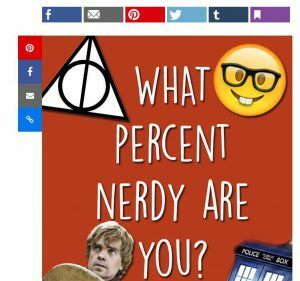 The quiz targeted geeky millennials – a huge portion of BuzzFeed’s readership. BuzzFeed also maximized the odds that the quiz would be spread by making it easy to share. The site included sharing buttons at the top of the page, along the side of the page, and at the bottom of the page. We created a piece of interactive content that served three purposes: to engage audiences, to incite sharing, and to educate users on the dangers of alcohol abuse. The Your Face as an Alcoholic interactive app enabled users to upload a photo and see what they would look like after years of alcohol abuse. The app altered the photo to show how the effects of alcoholism would affect the user’s looks. The app played into self-interest by allowing users to upload their own photo. It also educated the audience and created share-worthy images that users could easily share after using the app. It subsequently became a hit with both audiences and publishers. It received thousands of social shares and was featured on over 900 publications. 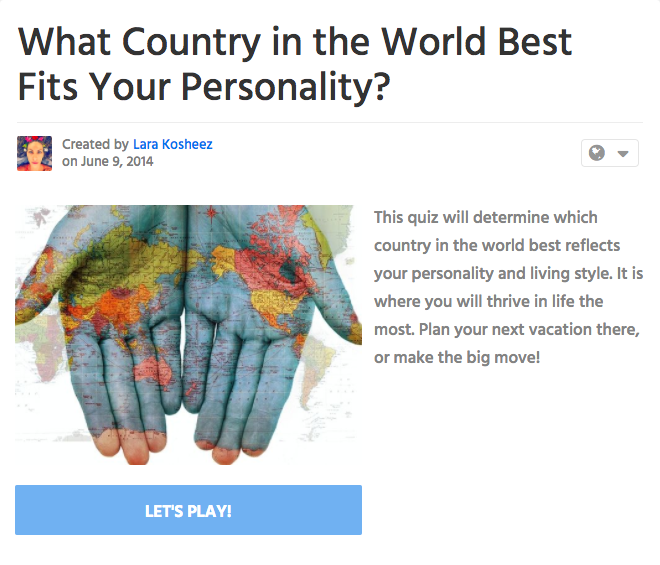 Playbuzz started a viral loop when it published the quiz “What Country in the World Best Fits Your Personality?” The quiz, which matches users with the country that best reflects their personalities and lifestyles, received more than 2.3 million Facebook shares, 7.3 million unique views, and over 3 million Facebook comments – for a few reasons. The test is a personality quiz that taps into self-interest and curiosity. It gives users content to share that says something about who they are. It also has an attention-grabbing image that makes the quiz stand out on social media. 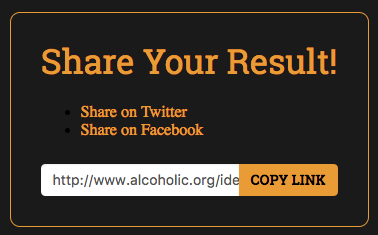 The quiz included a clear call to action to share after users received their results. The embed button was also prominently displayed, which led to the quiz being embedded 90 times on websites like AOL and Dose.com. Microsoft triggered wide sharing and a strong viral loop when they launched their “How Old Do I Look?” interactive app. The tool enabled a user to upload a personal photo. The “robot” would then guess the user’s age based on the photo. The tool was entertaining, as it provided a challenge to a computer to see if it could guess the actual age of the person in the photo. It also played into self-interest, as people who were told they looked younger than they were would be likely to share that information. 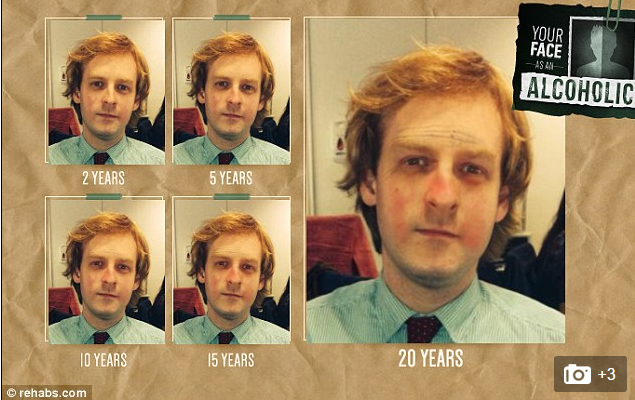 The app drew interest because people wanted to see how old they looked. The tool received 2.3 million shares through Facebook. AMC found a way to engage fans and draw users back to their website with the How Long Would You Survive? quiz. 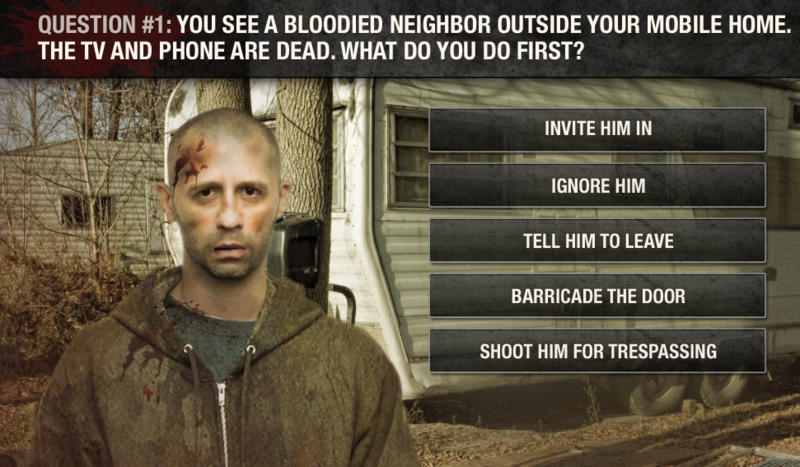 The quiz was branded with elements from the popular show “The Walking Dead,” but the quiz was also entertaining for users who didn’t watch the series. The quiz had many elements that helped trigger a viral loop. It was tied to personality and self-interest. Users could participate and get a result tied to their habits and decisions. The quiz also referenced pop culture and coincided with the trending topic of zombies, creating a fun piece of content for both fans and people unfamiliar with the show. Interactive apps don’t always require user input to create results. Some apps pull information available from third-party platforms to produce personalized results – as is the case for the Find Your Twin Facebook app. The app connects with the user’s Facebook account and scans the user’s account information to identify a person from their friend list that resembles them. The app is very popular on Facebook and has been “liked” 12 million times for a variety of reasons. The app plays into self-interest and connects personally with both the initial user and the friend to whom they are connected. This creates a piece of content that is interesting and involves two users. It also produces a share-worthy image and incites curiosity in other users who are likely to use the tool to identify their twins. When your goal is to get content in front of a large audience, you can’t do it all on your own. Enlist your audience to help spread your content and share it so it gets in front of as many eyes as possible. A great way to do this is to start a viral loop that moves content from user to user. Quizzes and interactive apps are great ways to incite this type of social sharing – but only if the content includes elements that are most likely to inspire user interaction and sharing. Be sure to use these tips and learn from these examples so your next piece of content can trigger a powerful viral loop. Learn even more about how to create content that triggers viral loops and social sharing by checking out our study on The Motivations for Sharing on Facebook.